The combinations lead the way through cold and warm materials. 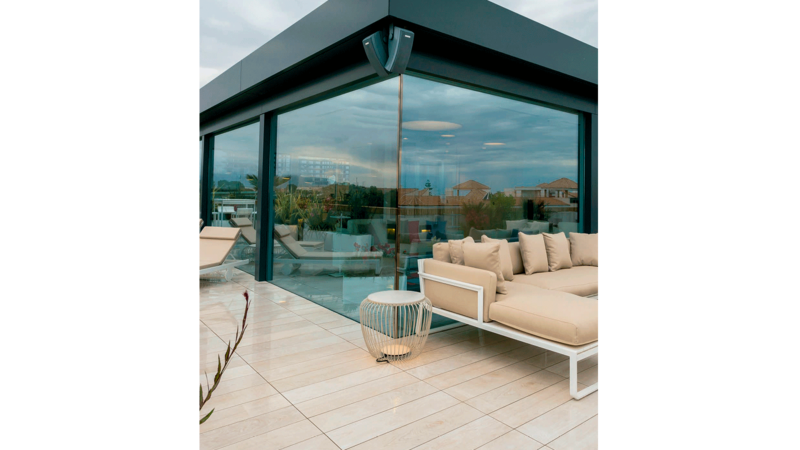 The refined finishes and the textures which are typical of indoor spaces set trends in exteriors as well. Areas which suggest meetings and social events in any season of the year. The juxtaposition of materials and decorations is trendy this season. Among the highlighted and latest designs, one can find carpets made of hydraulic tiles. 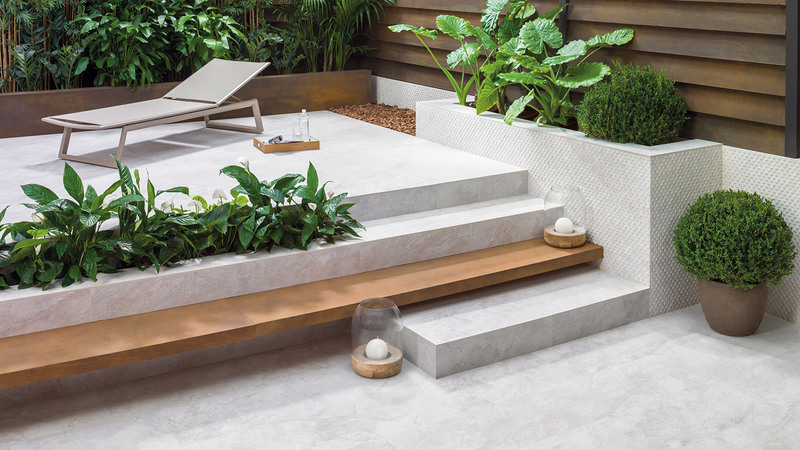 The PAR-KER ceramic parquet, the original from Porcelanosa, recreates natural wood in precise details while maintaining the ceramic’s unique performance. 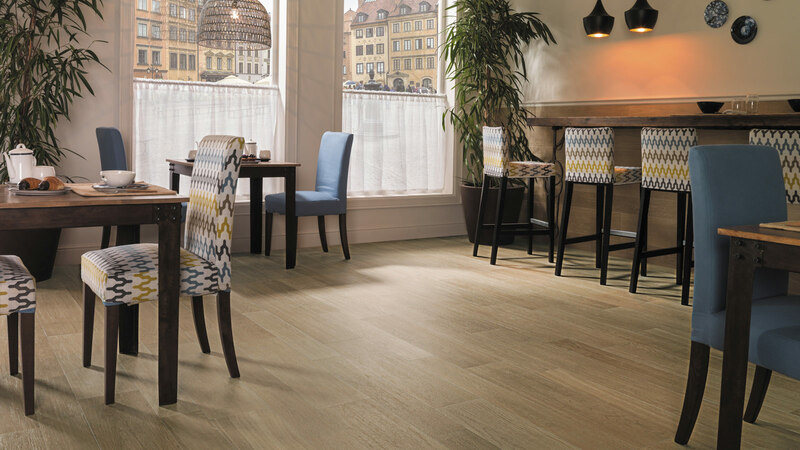 Also, Vintage from Venis is ideal when it comes to delimiting space or simulating carpets. 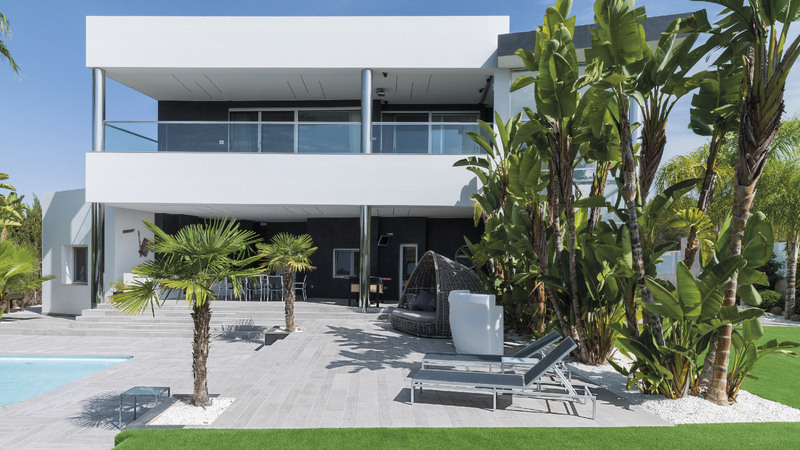 Butech for its part, offers the RAF (Raised Access Flooring) building system where the ceramic is placed on adjustable-height plots, which makes it possible to create completely flat terraces. 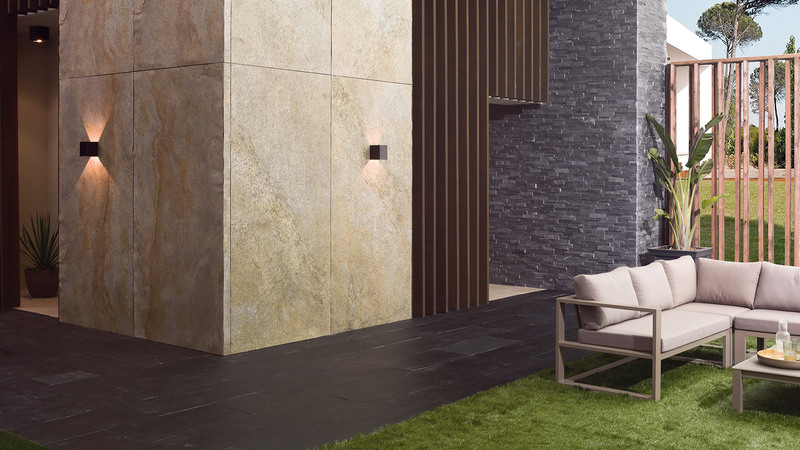 The natural stones and the architectural trompe l’oeil go excellently together in spaces with character. 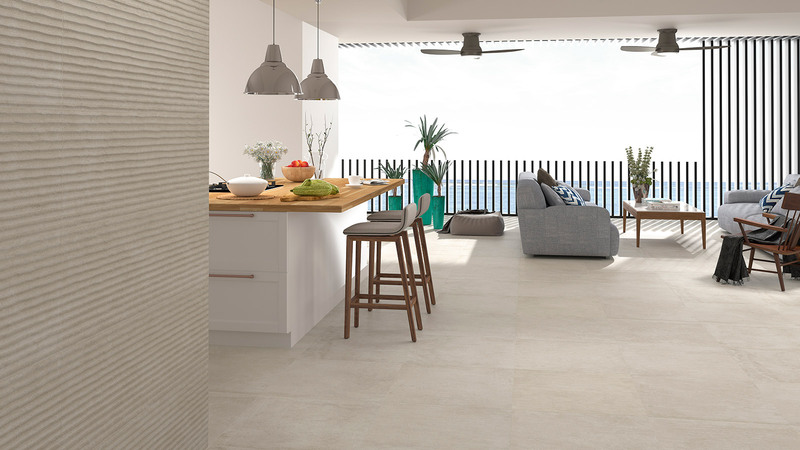 We are dealing with the combination created between the Pizzara Natural wall tile by L’Antic Colonial and the Bottega stone-effect floor tile by Porcelanosa. 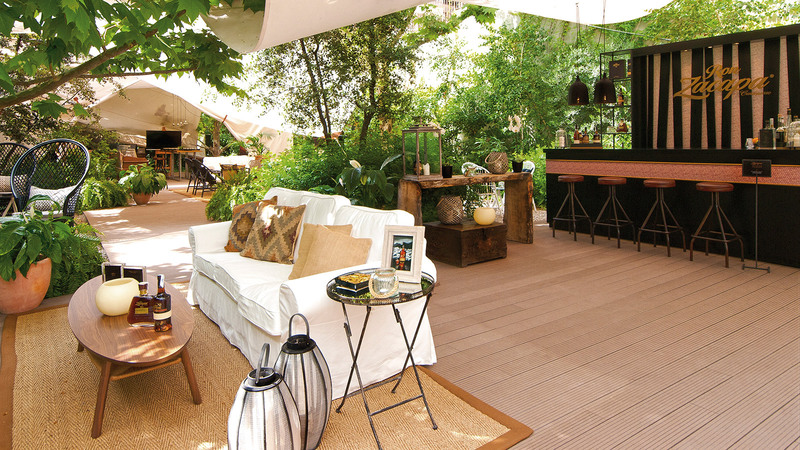 Colonial elegance on the terraces. 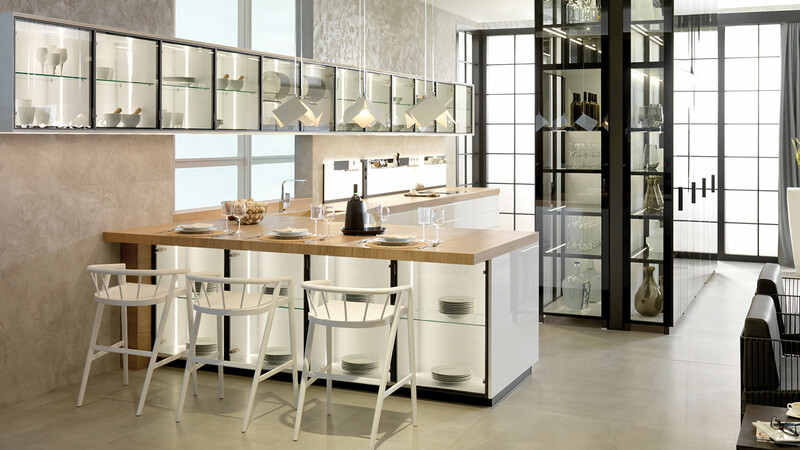 Urbatek banks on creativity in its Riven thick porcelain tile. A new 20mm tableted format which allows for a huge number of designs through any type of composition. 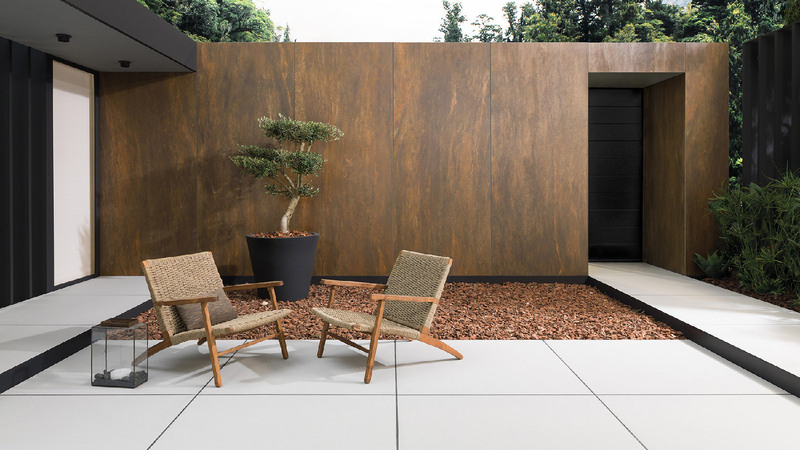 The firm suggests a living room atmosphere with joined boards which can be fitted, like the RAF by Butech, glued down to the support or installed dry on gravel or sand in white. Chain originality. Domino effect. 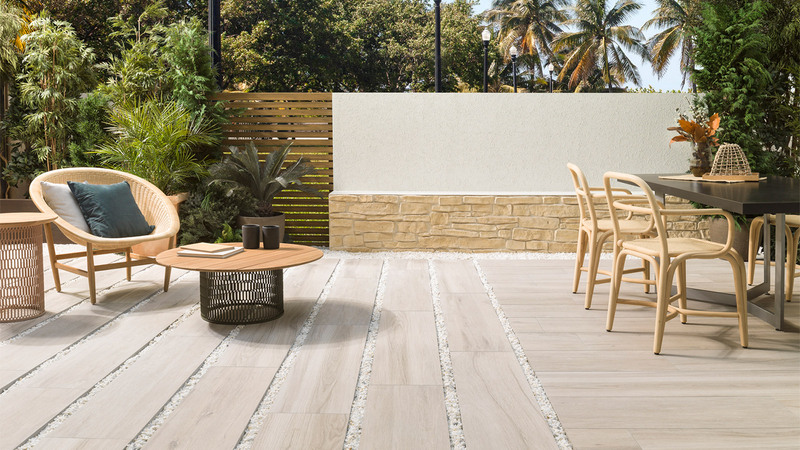 Cement and the fineness of wood are the perfect inseparable partners when it comes to creating contemporary-styled terraces. 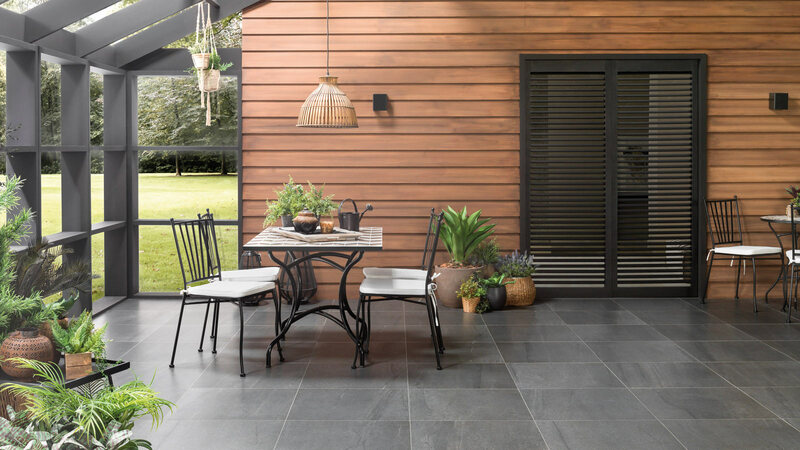 Venis reproduces the aesthetic of cement through its Newport ceramic collection. A piece which is available in different tones and excellently combines with the wooden furniture and the intense colour accessories.